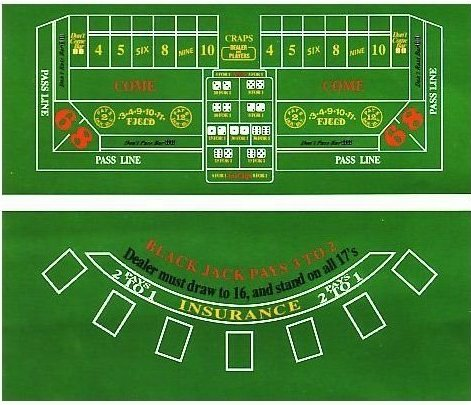 Felt Layouts : Bello Games New York, INC.
Craps & Black Jack Layout 36" X 72"
Roulette table cover, heavy duty silk screened felt. • Size 72" X 36". Black Jack table cover, heavy duty silk screened felt. • S ize: 39" X 29". • S ize: 72" X 36". Baccarat table cover, heavy duty silk screened felt. • S ize: 39" X 29". • S ize: 72" X 36". 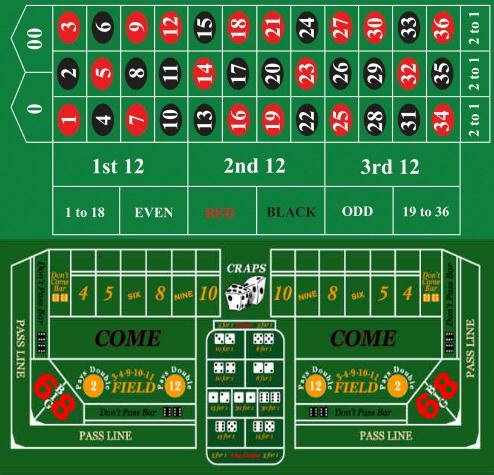 Reversible roulette/craps silk screened layout. • Size 25" X 16".